When it’s time for a dragonfly to transform into an adult, it climbs out of the water onto dry ground or vegetation and emerges. 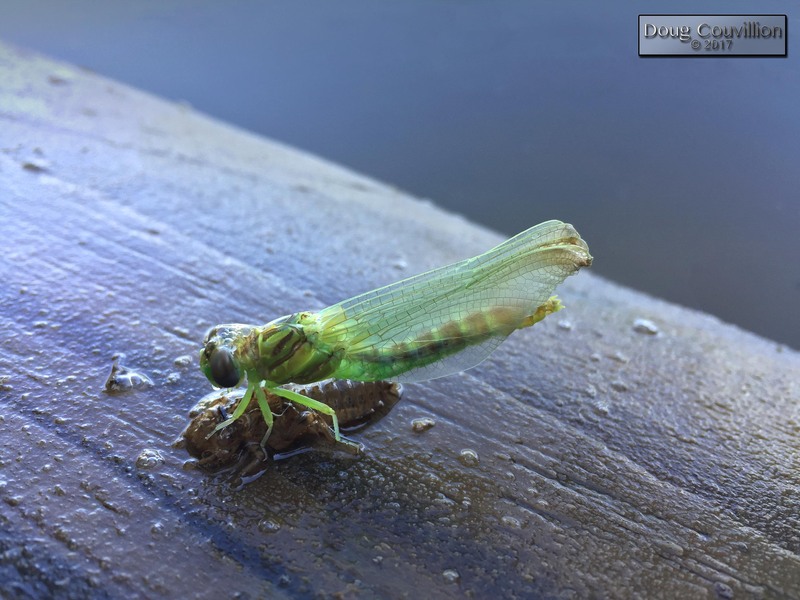 Similar to a cicada the dragonfly leaves its old skin behind as an empty husk called an exuvia. During the warm summer months if you look around at rocks and plants near river banks you’ll probably find exuviae. I never knew what they were before I recently encountered this dragonfly emerging. Fantastic capture. I will look out for the exuviae from now on.